My block print is for the Roadworks show. This is a combo art show and street fair. 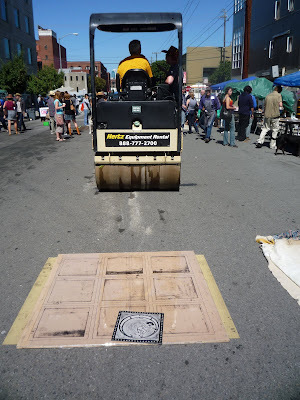 All of the prints in this show are made at the fair by being rolled over by a steam roller. The weather was beautiful and I learned a lot about different book making and printmaking organizations in the Bay Area and learned of a few other events I would like to attend. One of my friends from Vermont (who now lives in Oakland) came to the show and brought his cute as a button 3 year old who made a print at the kids table. It was a very relaxing event and I can't wait until next year. I created a block print for the Roadworks show in San Francisco. 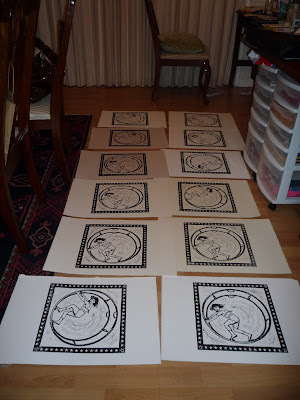 I wanted to do a small addition of 12 prints before handing my lino block to the show. 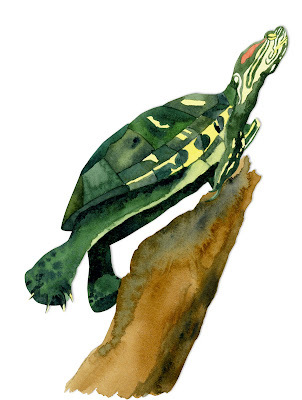 I am doing a small print exchange with 3 other srtists and a handful of my friends wanted a print as well. 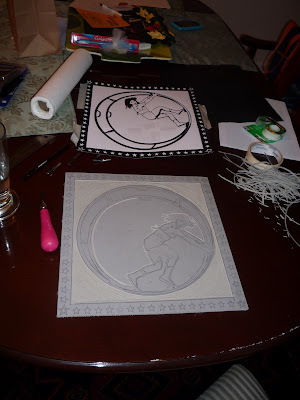 Here are a few shots of the carving and printing process. 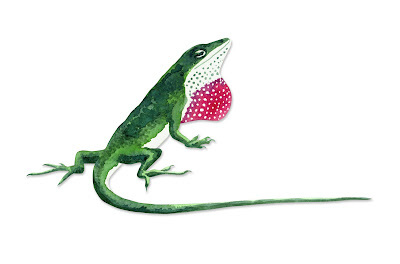 I painted a few reptiles for an article about heart development. I love to paint, I need to do it more. 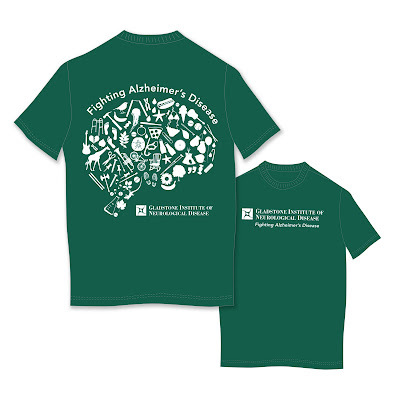 I designed the Memory Walk Tee Shirt For our Neurological Department. Here is the design, the institute color is green and I thought this would stand out in a sea of white and purple shirts.